When your email is flagged with an Outlook read receipt, your recipient knows exactly what you’re doing. You’re asking something of them before they can even get a word in. Not ideal. But there is a way around it. Let’s walk through the benefits of email tracking so that you can start working smarter from your inbox. 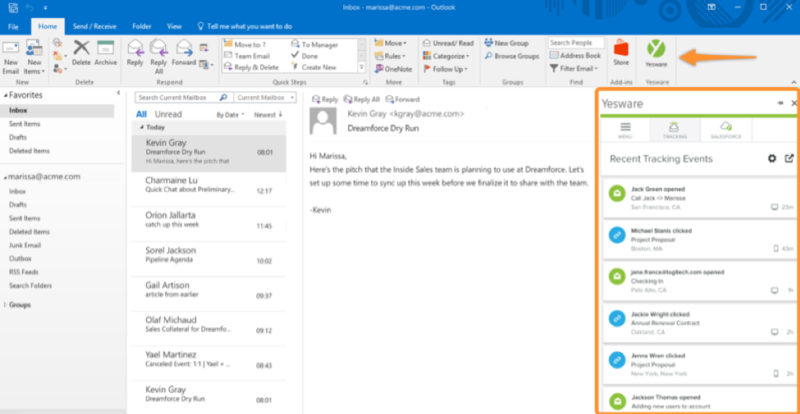 By trying a free trial of Yesware for O365, you open your inbox up to limitless possibilities. You should send your emails with intent. Remember these three words: Send. With. Yesware. The best part? Your recipient gets the same experience as before, not knowing their email is being tracked. Email tracking goes above and beyond letting you know when your email has been read. When a link within your email is clicked. Email tracking flags each open (and reopen) of an email, so you can better gauge your recipient’s interest. Each time you get a new open, we’ll alert you with a desktop notification. On top of Send With Yesware, you’ll also get access to three other awesome inbox tools that’ll supercharge your productivity and help you send more informed messages. Templates are the core of Yesware. Why? Because they’re a simple way to save a hell of a lot of time. You can save messages to your inbox to use in the future. Gone are the days of composing the same messages over-and-over again. 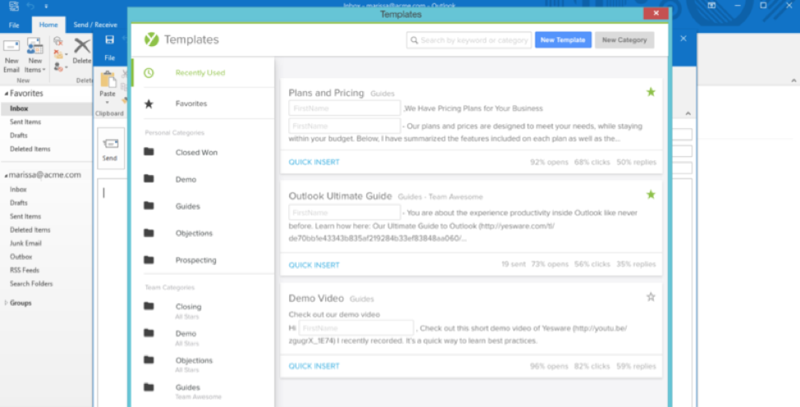 Insert (and send) a templated email in less than 60 seconds (instead of 10 minutes). See open and reply rates by template, so you can ditch what’s not working and hone in on what is. See what it’s all about — Plug Templates into your inbox for four-weeks free. When you need to send a bunch of emails, it’s difficult to keep track of everything. Knowing when to follow up or send additional emails shouldn’t take up any of your time. So, why not put everything on autopilot? Our newest feature, Campaigns, helps you stay on task by sending automated, personalized email campaigns. Campaigns will send automated follow up emails out based on recipient engagement. Data entry shouldn’t be the bane of your existence. Especially when there are plenty of workarounds. That’s why we integrated with Salesforce and have a BCC option for other CRMS. 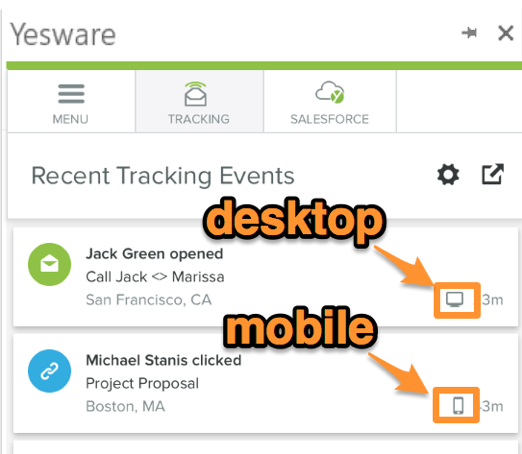 So, when you Send With Yesware, your message will automatically sync to CRM. Your inbox shouldn’t stress you out. It’s a place where you can gain insights and see what’s working with your messaging. Start a free trial of Yesware to see what it’s all about. Soon, you’ll be working smarter with the best of them.